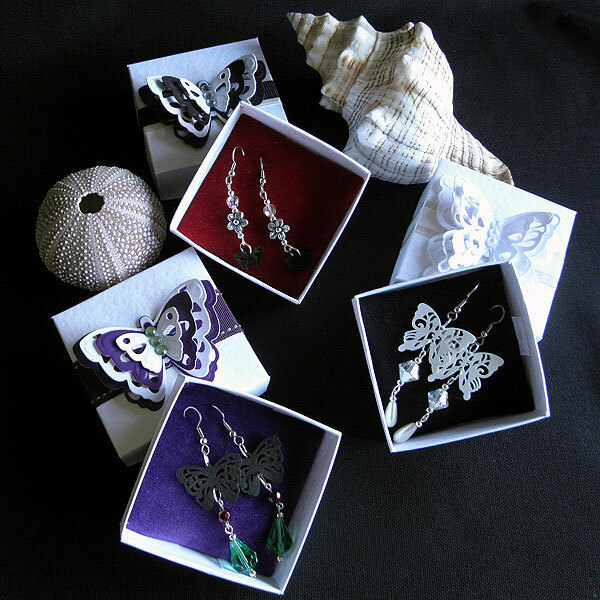 I thought I'd show you all the earrings and boxes I made with the layering butterfly dies all together. Wouldn't they make lovely gifts or favour boxes. 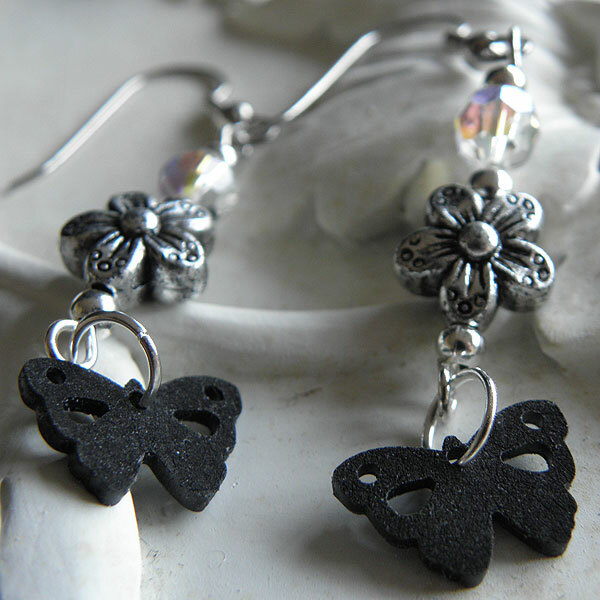 Did you see them on Create and Craft TV with Jodie? You can catch Jodie again at 11am, 3 and 8pm today. 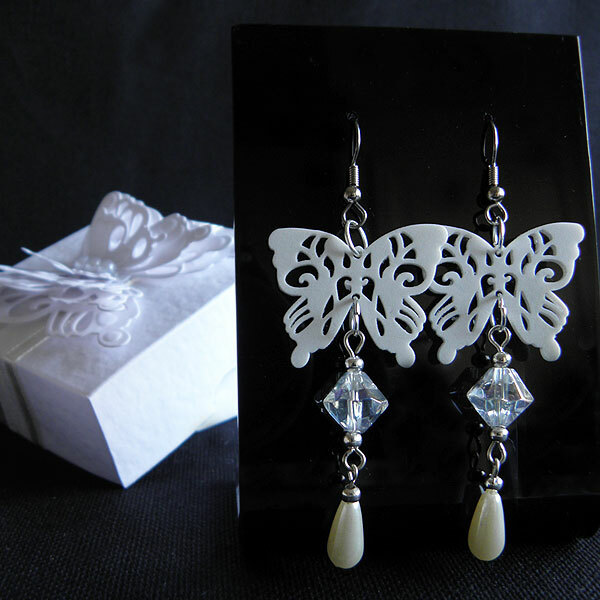 These are the earrings that were hiding inside the boxes. 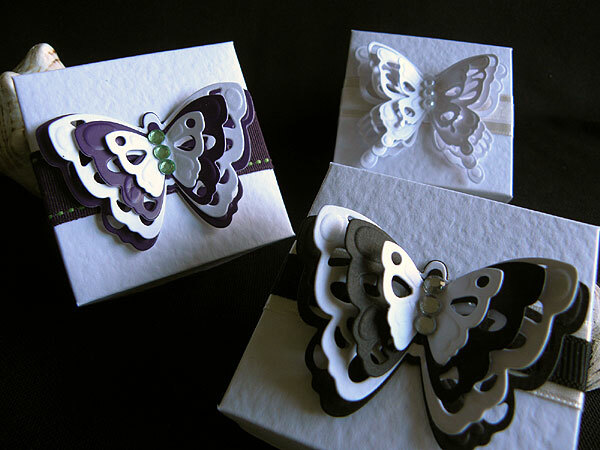 The butterflies were all cut with shrink plastic. 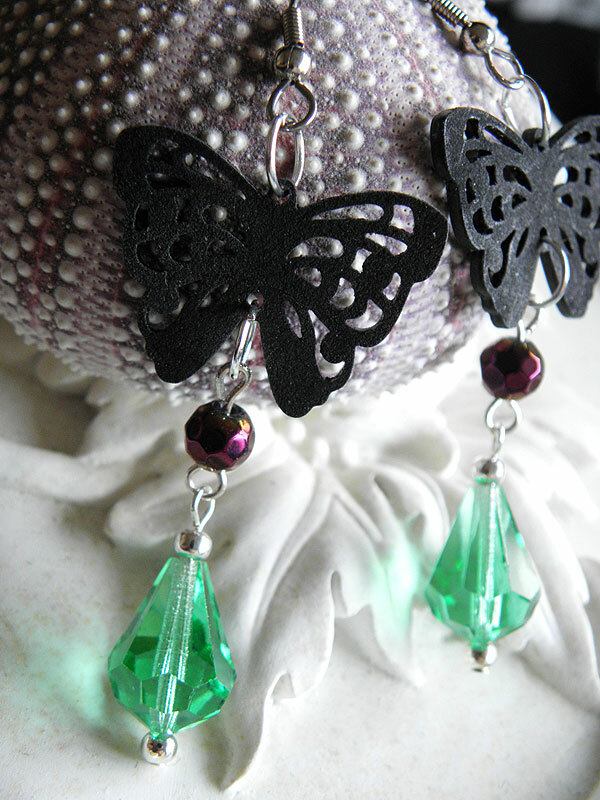 I first punched extra holes to insert the jump rings. If you are shrinking intricate designs from Shrink plastic, always do so in the oven as a heat gun gives too uneven a heat and your design will end up a mess. Go on, give shrink plastic a try, it's great fun!